Boys bracelets, for tough boys! Boys love tough, of coarser materials (woven bracelets) or black colors (onyxsteentjes0. Where you have to look for nice bracelets for boys, for boys there's really nothing to do. 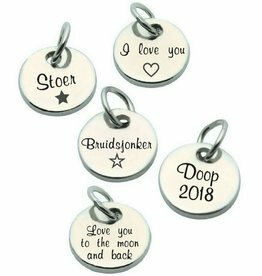 My own son Daan (7) helped me With the collection of boys bracelets and silver sportsmen, for small soccer players, basketball players or swimmers. This bracelet is designed for boys and girls. Made of black onyx beads with silver colored balls. 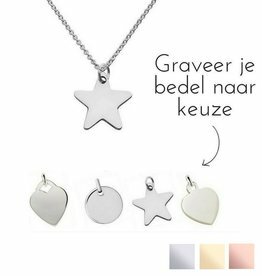 The silver asterisk is real silver say "i love you to the stars and back ', how sweet is that? 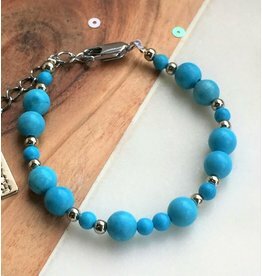 Tough for bracelet with beautiful turquoise gems. How to make the perfect "beach look a la Ibizia. 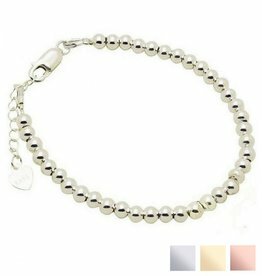 SALE ★ ★ Boys Bracelet "See Breeze"
Tough and yet a tad of chicque, we find this leather necklace with door-and-door silver engraving bed. You can choose the charm yourself, and of course we can grab names, words or data of your choice. Soccer is your sport? 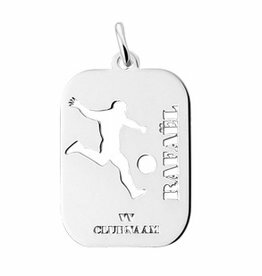 Show it with this silver soccer charm! Complete your name and name of your club. It is not necessary to fill in the name of your club. If you do not enter a rule, nothing is put in that place. KAYA's collection of jailbreaks can be a hit. My own son Daan often wears a bracelet, swims to it, to the playground, and more real boys things. Only when this test comes, we set up boys jewelery online. That's how we know that our boys can brace bracelets and chains. Do you already have a football athlete, hockey athlete or dart hanger? Do you want to show what your favorite sport is? Then order one of these unique silver athletes from KAYA! Namely, our silver sportsman is not just a sports image, we also put up your name and your sports club! With this you have your unique personal sportsman. Do you prefer a sports player without a sports club? Also that can! Then we only place your name on the sportsman.